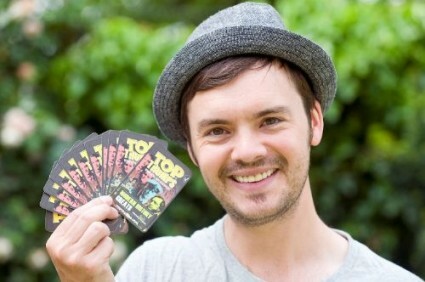 Barney Harwood is an English television presenter and actor, probably best known for his work with CBBC, on shows such as Blue Peter and Prank Patrol, while also helping compose the theme tunes and incidental music for the latter and one of his other shows, Bear Behaving Badly. Barney is also a very keen gamer, so after meeting him at the BAFTA video game awards, we tracked him down, to find out more about his love of gaming. Q. The best thing about coming from Blackpool is? Q. What’s your console of choice? Barney keeping it real with Top Trumps. Q. What do you think of the PSN hacking debacle?